If you’re looking for a last minute break this spring, then Zanzi Resort on the beautiful island of Zanzibar can offer a break like no other. Nestled on the coast of this tropical paradise, it exudes luxury and culture. This April and May, Zanzi Resort is offering five nights for the price of seven, an offer that you can’t refuse for such a stunning destination. Stay in one of seven luxurious ocean-view villas or six African Eco garden-view bungalows, all lavishly equipped with anything you could need during your stay. The resort is spread across 15 acres, seamlessly integrating into the natural surroundings. From here you can delight in the sights, sounds and serenity that Zanzibar has to offer. 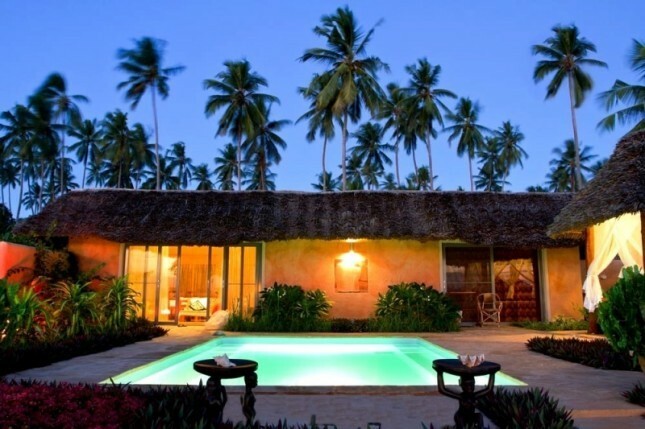 The resort is within easy reach of all of Zanzibar’s top experiences, including its famous spice tour, the ancient Stone Town, the Butterfly and Turtle Center, Mnemba Atol diving, deep sea fishing, the Blue Safari, a Dhow sunset cruise, game viewing in Jozani Forrest, and swimming with dolphins in Kizimkazi. While dining in Zanzibar, you can enjoy a blend of African and European culinary traditions to create a cuisine that’s exotic yet familiar, using the finest island ingredients. Seafood is taken straight from the ocean to create sublime dishes, while vegetables are grown in the grounds of the resort. Succulent fruit, flavourful vegetables, fresh seafood and aromatic spices mix together to create mouthwatering dishes. This authentic island escape is all about peace and privacy, in a swoon-worthy setting that makes you feel truly relaxed and pampered. Don’t miss out on this fantastic offer, and book today for your luxury break at what can only be considered one of the most beautiful destinations that our world has to offer.